Gillson house built c. 1866; remodeled in 2010-2011; see REMODEL for details. Gillson board house covered with cement as it appeared for 100 years; photo 2000 (brick granary in rear). 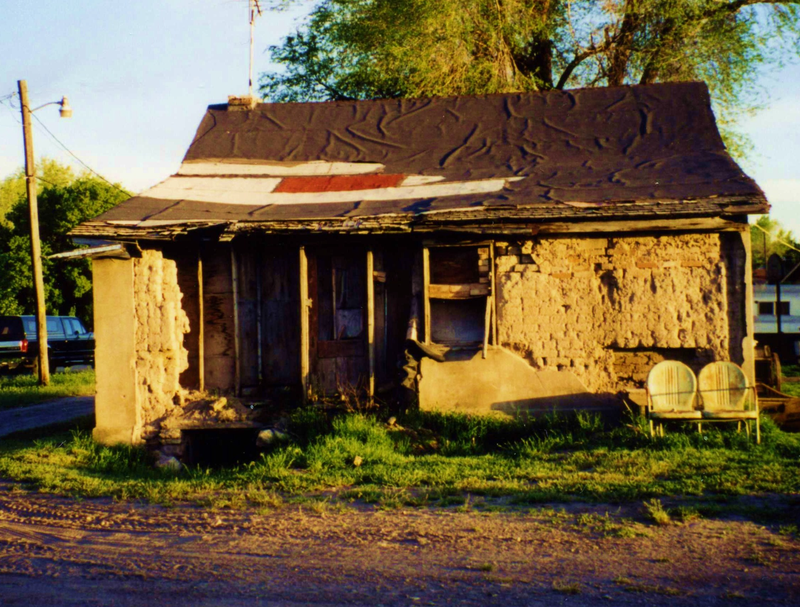 The house was built in about 1866 with a combination of board exterior walls and adobe brick interior walls covered with lath and plaster. The stucco/cement presently covering the exterior board wall was probably applied in the early part of the twentieth century. 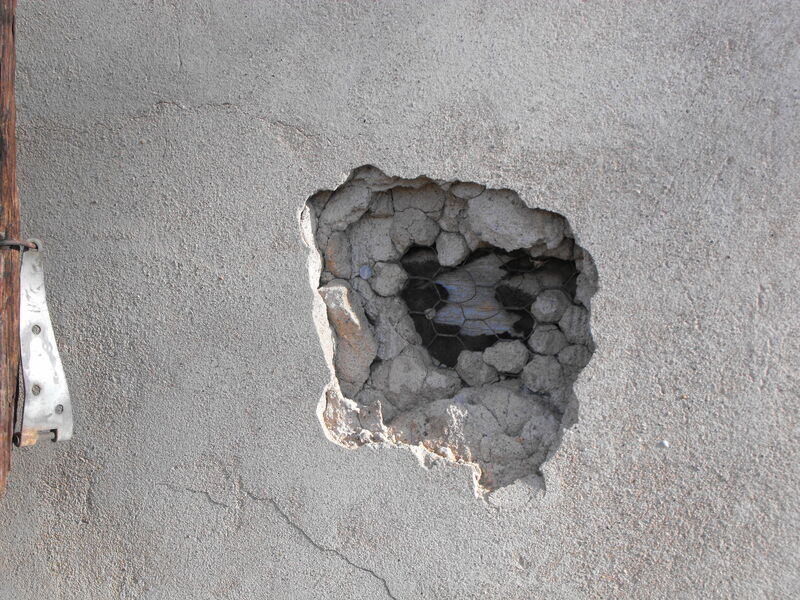 A hole in the stucco wall reveals the original board exterior wall; photo 2011. 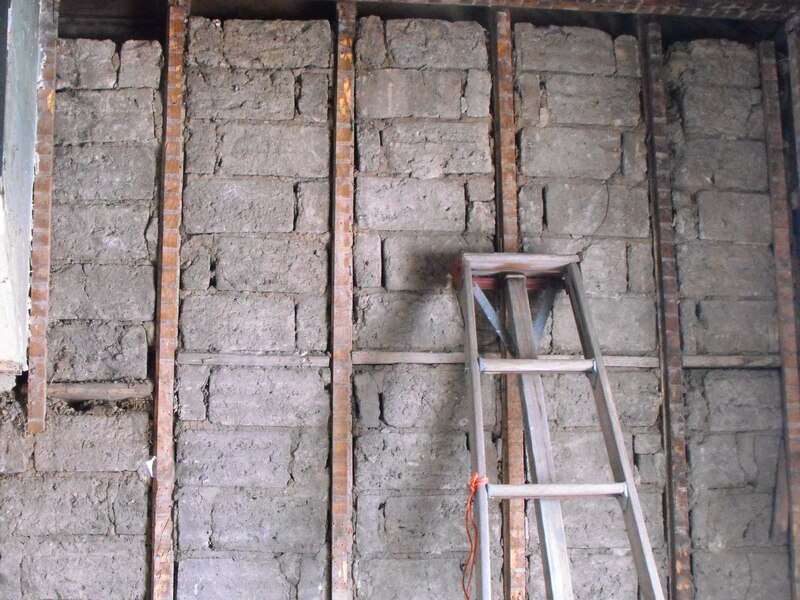 Lath and plaster were applied to the interior adobe bricks. A lime kiln was opened in Ogden Canyon in 1865, and the lime produced by the kiln was sold to “white washers” or builders who used it in making plaster. So the trend of plastering walls began in the late 1860s. 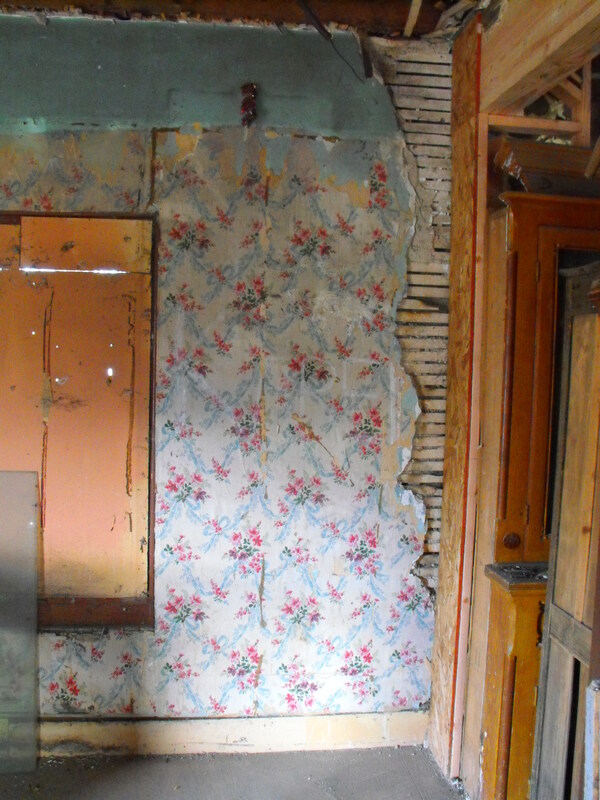 Lath and plaster covered with wall paper; photo 2011. The near-by school house and the neighboring houses at 152 W. 2nd and 142 W. 2nd were also built in the 1860s with this new trend of interior plaster walls. 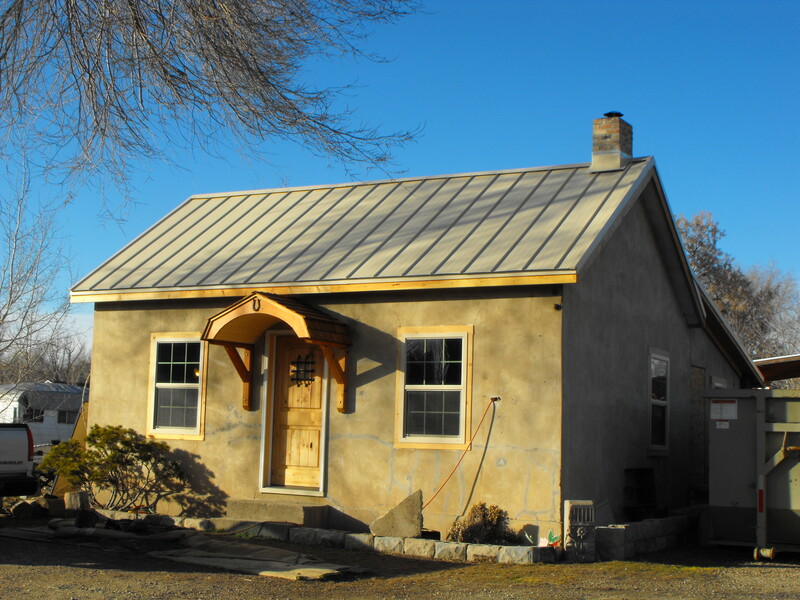 A house with board exterior and interior plaster walls was an attempt to improve the quality and durability of the houses, and plaster walls were a pleasant step up from the typical log or adobe walls. The Gillson house is classified as hall-parlor and was composed of a single large room, the hall, or family room, with a smaller room serving as the best room, or parlor, attached to the side. The kitchen was in the lean-to on the rear. The front façade was symmetrical, the door located in the center flanked by two windows; but the interior floor plan is asymmetrical. 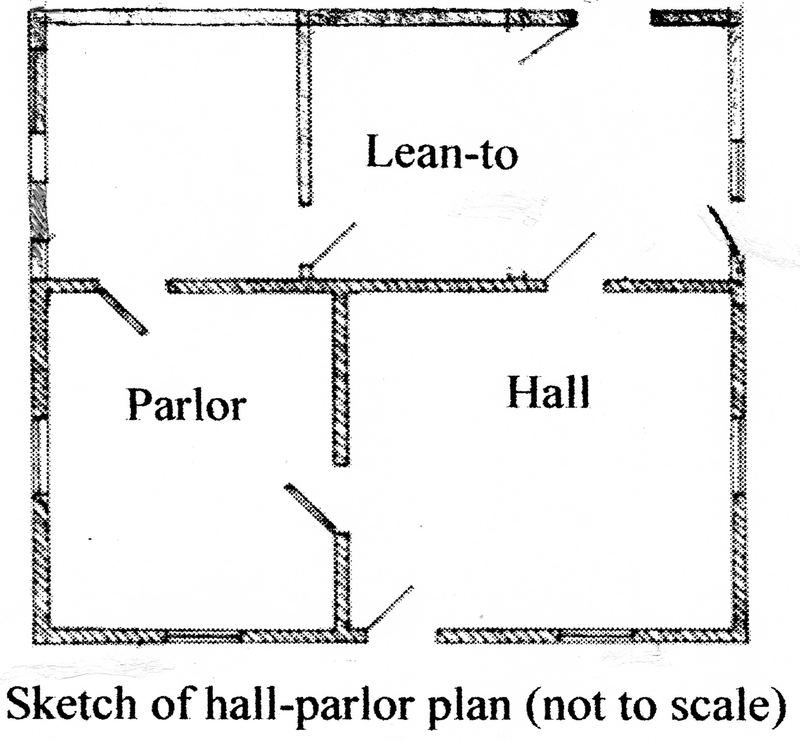 The hall-parlor house plan was English and may be considered the quintessential Utah house during the second half of the nineteenth century. The lean-to did not have plaster walls or board exterior walls; it had adobe walls both exterior and interior. A lean-to typically served as the kitchen. Under this lean-to is a cellar with rock walls about six feet high and a well in the SE corner. The entrance to the cellar is from an outside doorway. There is also a cellar under the main part of the house that was probably added in the 1890s and lined with hard brick for walls. Rock walls of lean-to in 2009. Brick walls under main part of house in 2009. Adobe rear wall of lean-to, two rows thick in 2009. The house measures twenty-four by eighteen feet, and the adobe lean-to measures eleven by twenty-four feet. For some reason the rear exterior north wall of the lean-to was not covered with stucco like the rest of the walls. The adobe on this wall showed much deterioration over the decades, but the stucco walls were well preserved. 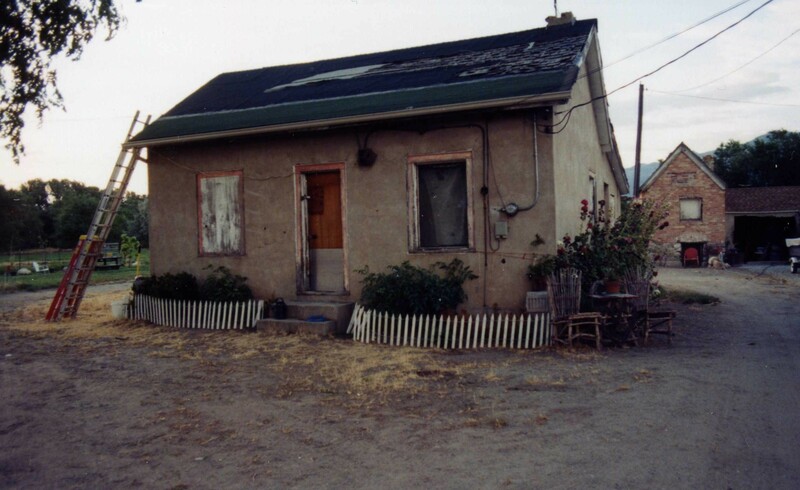 The house is a rare and excellent example of an early once common Utah farm house. Rear view of Gillson house in 2000. See remodel for today’s view of rear wall. 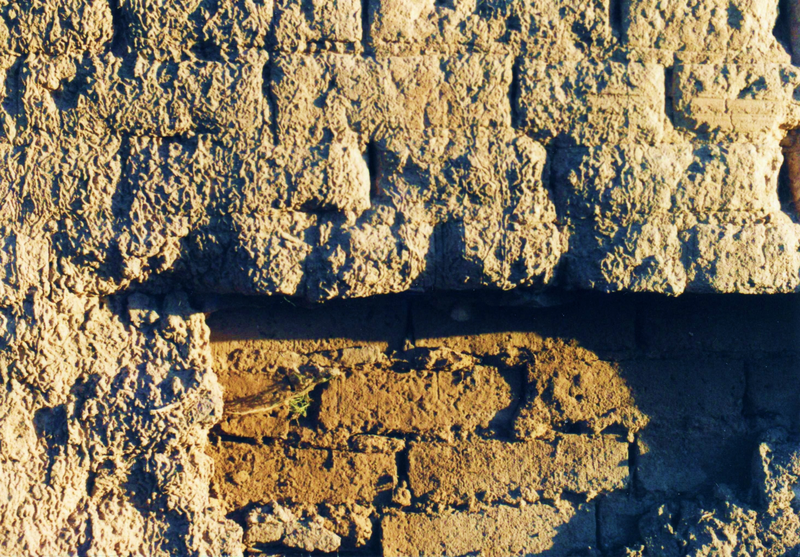 Close-up of adobes on rear wall in 2000. William Gillson (Gilson, Jilson) was born in England in 1811. In 1845 he and his wife Charlotte King and their five children left England and went to South Africa to make their home and engage in farming. In Africa they had two more children, and the family was baptized into the Church of Jesus Christ of Latter-day Saints. In March 1859 the family left Africa to come to America and to Zion to gather with the Saints. The journey took seven months. They settled in Bingham Fort on the north side of West 2nd Street on the lane to Harrisville.This lane served as the roadway to Harrisville until Wall Avenue was built in about 1937. William was 48 years old and his son Edward was 18 in the fall of 1859 when they arrived. The whole family worked very hard on this farm, each doing his share to create a farm and lateral ditches; they were located next to the north branch of the Bingham Fort Ditch. Their first house was probably a log one where they lived until they had time and money to build the board house pictured above. Their nearest neighbor to the south was the William Hutchens who tried to help them when a fire took their barns and sheds in about 1869. In about 1862 Edward married Cynthia Drake, daughter of neighbor Daniel Newell Drake from Vermont. By 1870 Edward became the manager of the farm, and William took a job as a plasterer and moved to another house close by on Washington Ave. Plastering the walls of homes and businesses became popular in the late 1860s and the 1870s. Orson P. Drake, age 18, cousin to Cynthia, was also living in the Gillson house in 1870 and working for Edward Gillson as a farm hand. In 1873 William died and his son, Edward Gillson, became the sole owner of the farm. In 1887 Francesco Bertinoti purchased this house, and Bertinoti/Genta family members owned the property for about eighty years. 300 feet north of this house is a large rock-lined well about 30 feet deep called the Bingham Fort well. Carter and Goss, Utah’s Historic Architecture, 1847-1940, 1988, Utah State Historical Society, p. 14-17. Lorna B. Schlote, William Gillson and Wife Charlotte King, 1963, DUP, Vol. 30. Not to be confused with Harrisville Road at Five Points, this lane is as old as the fort and connected Bingham’s Fort to the intersection of (Greaser) Larson’s Lane and the North Harrisville Road. After the building of Wall Avenue in the late 1930s this road was no longer used by the public. It continued as a private lane connecting 2nd Street to North Street and was called the “Old Road to Harrisville” or “Anderson’s Lane”. US Federal Census 1860 and 1870; Leo Haefeli and Frank J. Cannon, Directory of Ogden City and Weber County, 1883, , p. 172.